Martin, I’m delighted to have another interview with you. When you asked me to review your new book, “My Name is Hardly,” I was pleased you asked and enjoyed your story very much. The premise for your story is completely different from anything I have read before. Could you tell your audience a little about book? Hi Stephanie, it’s great to be able to talk to you. Thanks for having me! “My Name is Hardly” is the story of Gerald “Hardly” McDougall, one of the characters from my first book, “My Temporary Life”. I wrote about Hardly’s life while he served in the British Army. Hardly was a loft-sitter, a spy who sat above the homes of ordinary folks, on ordinary streets, trying to garner information on the comings and goings of the Irish Republican Army. Without giving away too much of the plot, Hardly ends up in the loft, or attic, of a house where the IRA Provos are very, very close. Although some of the story takes place while he’s in the loft the actual novel covers twenty years of his life. And, thank you, it was a book that became a bit of a self-discovery as I wrote it. During my research, as I was learning about the time of “The Troubles” in Northern Ireland I was discovering things about myself at the same time. It’s interesting to put yourself in your character’s shoes and wonder what you would have done in a specific situation. Hardly is an intriguing person, how long did it take you to develop his character? Was he based on a real person? I joke that I’ve now lived with Hardly for over three years. Through the course of the two books, I’ve been with him when he was physically abused as a young lad, I was there when he lost his virginity, and I was there when he made the single decision that defined him as a man. Hardly is based on several people and I’ve had many readers tell me that they were Hardly or that they knew Hardly. I’m writing about him again in the third book of the trilogy and although he isn’t as prominent in this book I am enjoying being able to write about him once more. I have never heard of loft-sitters before reading your book. How did you come across them and what was some of your research involved in learning about them and what their purpose was? I hadn’t heard about them until a few years ago either. Then I met a retired British soldier who was a loft-sitter and he told me about some of his experiences. His stories stayed with me and when I wanted to write Hardly into that situation I tried to find information on other loft-sitters. There was virtually nothing out there. Finally, I found a newspaper article that was a story about Brit soldiers running from the attic of a building in Belfast when a fire alarm went off. They had been stationed up a loft and when the alarm sounded they were evacuated into a waiting military vehicle. According to the newspaper story, when an IRA spokesperson was interviewed afterwards he claimed the IRA had always been aware that soldiers were stationed in lofts “up and down their streets”. That part really interested me. Soldiers were snuck up these lofts in the middle of the night, with the help of homeowners who were sympathetic to the Brits. So, here they were, sitting-ducks, not knowing whether the homeowners would change their minds and shop them to the IRA or whether the Provos would find them themselves. It was a precarious position with no way out. The only exit was back down and out through the house. And, to top it off, the IRA may very well have known they were there the whole time. As part of my research I contacted the UK Ministry of Defence. Unfortunately they didn’t respond until after the book was published, but they did confirm that there was further information on loft-sitters and it was available through their Freedom of Information act. At this point I haven’t pursued it. Also, as part of my research I had an ex-newspaper reporter who reported from Northern Ireland during the time of The Troubles fact-check my manuscript. He confirmed that he remembered stories about soldiers stationed up lofts, and in some of the old tenement buildings they could even wander from house to house up there, as there were no dividing walls between some of them. The soldiers stayed up there for several days, eavesdropping on conversations as neighbors visited down below. Rarely were there actual IRA members below them but the mothers and fathers of the boys involved in some of the bombings were sometimes there, and from time to time they’d let something slip in a conversation, and that’s what the soldiers were looking for. And, finally, once the book was published, I received a couple of emails from a woman whose husband was a loft-sitter during this time. The information she gave me is confidential but I can tell you that he confirmed all of my facts also. And, as a very nice by-product of it all, she thanked me for helping her to understand what he was faced with during his tours of Northern Ireland. She said they’d both read my book and it had helped them have some productive conversations about a time that until now they’d chosen to ignore. That alone made it all worthwhile. There are several elements to your story that I found to be well written. For example, a little romance, politics, spies, military scenarios, and a fine balance of the human condition during these events taking place. In your mind how do you bring it all together in a nice package? Where there any challenges? It’s just telling a story. I like hearing a good story and that’s what I try to write. I read a sci-fi book a few months ago and that’s totally not a genre I enjoy but the story was just so darn compelling. Readers have told me they feel the same way about Hardly’s story, and the fact that it reveals little known facts about a time in recent history makes it even more interesting I think. And yes, the challenge was trying to make the setting and people and story as authentic as possible. 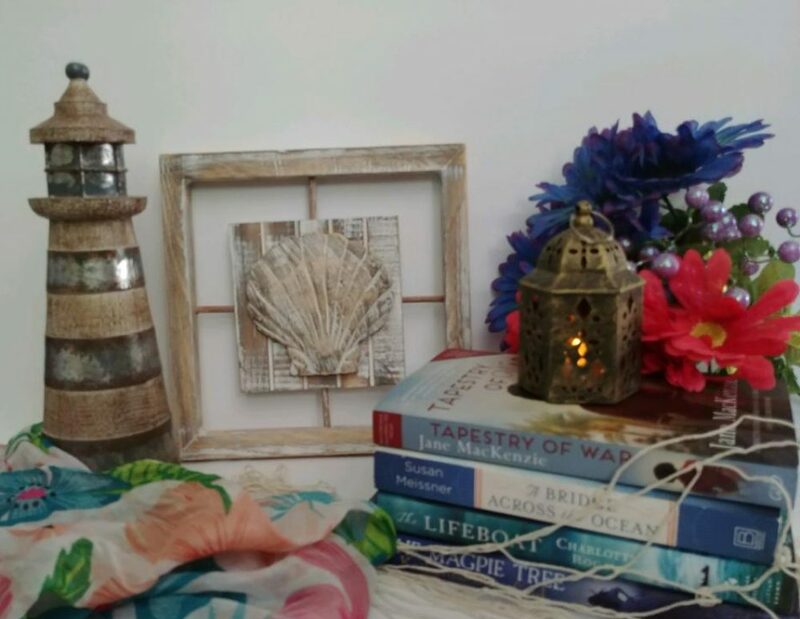 Most of the story takes place in the mid nineties and that’s a very recent time of course, so I spent many hours trying to make sure that when a reader opened up their book or turned on their kindle, they felt as though they were actually there. This book took ten months to write. I initially was going to continue writing about Malcolm and Heather, the two main characters from “My Temporary Life” but readers emailed and messaged asking for more about Hardly. So, I was happy to oblige. What would you hope your readers come away with when reading your story? I would hope that they see this book as a balanced opinion on a very complicated conflict. Thank you for chatting with me about your book. Now on the more personal side. How many hours a week do you spend on writing? Do you have routine? I try and write every day but unfortunately some days that just isn’t possible. As you know, Stephanie, I’m self-published so a lot of my writing time is devoted to promoting my books and trying to find ways to expand my reader base. My routine varies but most days I spend several hours in front of my computer and I don’t mean that to sound like a chore because it’s not. I have the best job in the world. What is your favorite literary genre? I enjoy stories, well-told stories. And, I like books that can’t be classified, or are at least difficult to classify. Most of those fall under the heading of literary fiction I suppose. Are you currently reading anything right now? If so, what book? I just finished “The Prisoner of Heaven” by Carlos Ruiz Zafon and now I’m reading Laurie Boris’ book “Don’t Tell Anyone” and believe it or not I’m also reading Caesar the Dog Whisperer’s book. We have a new dog joining our family shortly and I’m trying to learn how to be the “pack leader”. What do you so when you are not writing or reading? I run. I have a group of friends and we run a couple of times a week. Sundays are our long runs. I ran a marathon last year but this year I’m concentrating on half-marathons. I ran a half last Sunday and it was lots of fun. Our new dog enjoys running too, apparently, so it looks like I’ll have a new running partner. it’s not just the feeling of the book, but it’s the feeling the book gave you when you read it too, and I don’t get that as I page through the books on my kindle. So, I need both in my life-print and e-books. On average how many books do you read per year? When I’m writing I don’t read any. Right now I’ve just started a new book so I’m finishing off my current reads. So, it varies. Once I’ve finished this book, by late Spring I hope, I’ll start reading a couple of books a month again. Thanks again for having me, Stephanie, that was fun! In a press release, Amazon referred to Martin Crosbie as one of their success stories of 2012. His self-publishing journey has been chronicled in Publisher’s Weekly, Forbes Online, and Canada’s Globe and Mail newspaper. Martin’s debut novel, MY TEMPORARY LIFE, has been downloaded over one hundred thousand times and became an Amazon bestseller. MY NAME IS HARDLY, his second book, was written following reader requests to hear more about Hardly, the beloved character from MY TEMPORARY LIFE. Martin was born in the Highlands of Scotland and currently makes his home, with his partner Jacquelyne, in Cloverdale, British Columbia, on the west coast of Canada. The third book in the MY TEMPORARY LIFE Trilogy is due to be released in Spring 2013. 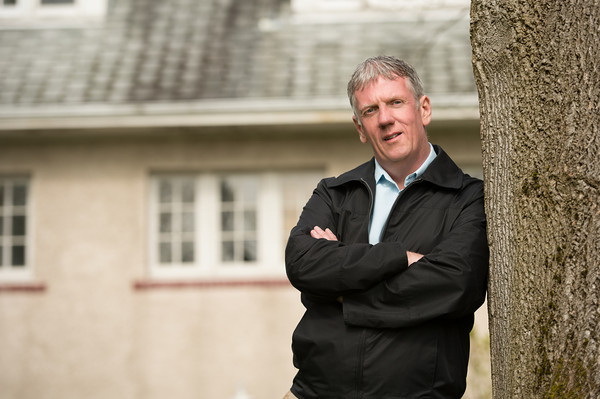 When Martin Crosbie approached me about reviewing his latest novel,” My Name is Hardly”, I was delighted and curious about his new story, so I agreed to take a look. I’m a reviewer for historical fiction, so this was a change for me. Having interviewed Martin previously about his novel, My Temporary Life, for indieBRAG and hearing nothing but wonderful things about his work I knew I made the right decision. This story centers on his protagonist, Hardly, who served in the British army and becomes a loft-sitter-spying on IRA Provos. I found myself really intrigued with Hardly, he is a complex character who has had many struggles in life. Including an abusive childhood from his mother and his surrogate father. There were many scenes in the story that reached out to me and really had me thinking about choices we make in life and living with the end results. Crosbie’s plot is engaging, sophisticated, thought provoking. He gives you a wonderful blend of romance, politics, spies, military scenarios, family life struggles and a fine balance of the human condition during the events that take place. I’ve never heard of loft-sitters before reading this story and I‘m interested in exploring more about this subject. Crosbie’s zeal and dedication to his writing shines through his novel. I highly recommend reading this unique and captivating story. Karen, congrats on winning the BRAG Medallion! Please tell me about your story, The Mustard Seeds. The story is about Elliot White, a 16-year old musical savant with Asperger’s Syndrome. After his mom’s sudden death, Elliot is forced to leave his performing arts high school in New York City and relocate to Winslow, Arizona to live with his eccentric aunt, Amaryllis Long. When Elliot discovers his new high school has no music program, he decides to form his own band of musical misfits, who it turns out, are unable to attract an audience. This is when Amaryllis inspires Elliot by giving him some mustard seeds, explaining that faith as small as a mustard seed can move mountains. As their faith grows, Elliot and his band-mates begin to believe they will be able to give a public performance, but the school’s principal, Mr. Winters, who just cut all of the arts programs, stands in their way. The premise of your story is heart felt and moving. What inspired you to write your book? I’m a university professor and I was asked to teach a class about autism. I did a lot of reading and research on austim spectrum disorders and became fascinated with the idea of having a main character with Asperger’s, which is high functioning autism. What is the lesson you hope your readers come away with when reading your story? I hope people will come away from the story with a greater understanding and acceptance of people with autism spectrum disorders. I would also like people to appreciate the importance of having faith. Was there any research involved? I made a trip to Winslow, Arizona to get a better sense of the place where I wanted the story to take place. My favorite part of the trip was seeing the Meteor Crater, which plays a significant role in the story. Write every day. After National Novel Writing Month this past November, I made a resolution to write a novel a month for the 12 months that followed (ending with National Novel Writing Month in 2014). I’m getting ready to complete my fourth novel since November. And I’ve accomplished that level of output by writing every day without fail. Yes, of course. 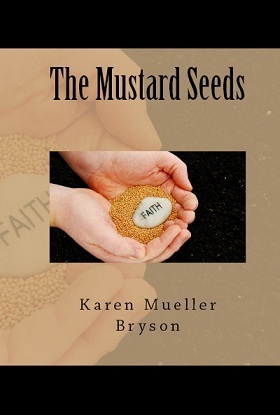 The Mustard Seeds is my seventh self published work. For 2013, I plan on self publishing all 12 novels I’m writing this year. How did you discover BRAG? I discovered BRAG through some marketing research I was doing online. What are some of the ways you use to promote your books? Blog tours and hops, social networking (Facebook, Twitter, Tumblr blog, Goodreads), book trailers, contests, in-person book signings, booths at book festivals, and interviews like this one. How many hours a week do you spend on writing? About 10-12 hours on average. On a average, how many books do you read per year? I usually read about two books per week, which is 104 per year. Right now, I’ve got myself involved in the Beautiful Creatures series. I’m at the beginning of the Beautiful Creatures series, so I’ll be reading those for a few weeks! After that, I will probably move on to Divergent. Karen Mueller Bryson is an award-winning/optioned screenwriter, produced playwright and Amazon best-selling novelist. She has been writing since she learned to read and fell in love with books! Karen is the creator of Short on Time Books, a series of fast-paced and fun novels for readers on the go. When she’s not at her computer creating new stories, Karen enjoys spending time with her husband and their bloodhounds. 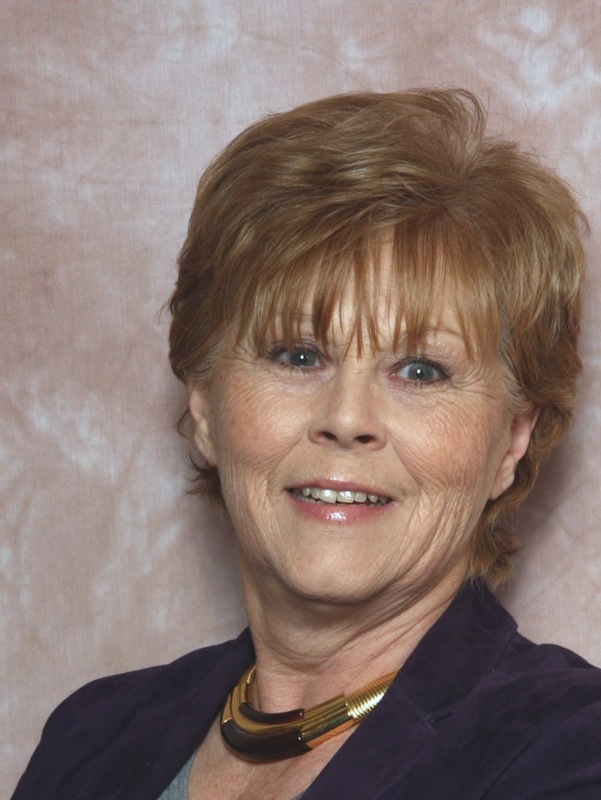 We are delighted that Stephanie has chosen to interview Karen Mueller Bryson who is the author of, The Mustard Seeds , one of our medallion honorees at www.bragmedallion.com . To be awarded a B.R.A.G. MedallionTM, a book must receive unanimous approval by a group of our readers. It is a daunting hurdle and it serves to reaffirm that a book such as, The Mustard Seeds merits the investment of a reader’s time and money. 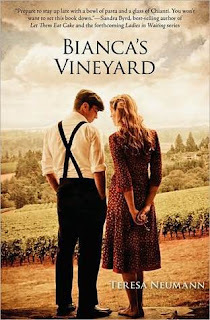 Friday 29th-Author Nancy Byleau-As part of the, Historical Fiction Virtual Book Tours. This coming week of February I have two interviews with Author Karen Mueller Bryson on the 25th and Author Martin Crosbie on the 28th. 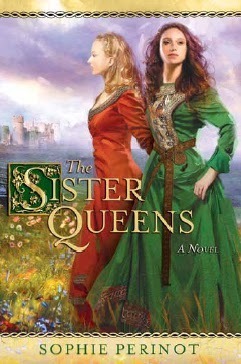 The Sister Queens is the second novel I have read about Marguerite and Eleanor, who both become Queens. The two sisters grew up together at their father’s-Count Raymond of Provence-court. They are separated at an early age to marry, they find their life as they know it completely changed and become two extraordinary women who face many challenges. Marguerite marries King Louis of France and is often neglected by him. She struggles to fulfill her role as Queen by his side. The reason for her struggles is due to her domineering and often time’s cruel mother-in-law, Blanche of Castile. Blanche’s influence over her son is strong as is her involvement in the governance of France. Eleanor, whose husband is King Henry III of England, is not considered a strong leader to his kingdom but is a good husband and adores her. But as the years go by their marriage becomes strained and Eleanor struggles to bring back that spark in their relationship. Although this story centers on Marguerite and Eleanor, they have two other sisters- Beatrice and Sanchia- who married the brothers of King Henry and King Louis. Their marriages help bond the relationship between the two countries. The marriages of all the sisters were obviously for political advantage and more power. Which is intriguing to read about and I find that I admire their courage, strength and their amazing resilience to adapt to any situation they encounter. At the beginning of each chapter you read a letter from Marguerite to Eleanor and vice versa- as they corresponded through the years. As I read their letters, I found myself enthralled with their devotion to each other. For me, the letters were the highlight of the story told. The alternating point of views told by the two sisters was well developed and easy to follow along. One can tell Perinot takes pride in her work and it shows through the pages and the character’s voices as their lives unfold. The compelling interpretation of Marguerite and Eleanor is believable and admirable. Stories such as this are timeless and Perinot brings the 13th century back to life through this captivating novel. That is one of the reasons why I’m so drawn to historical fiction. I hold this story in high affection and it is certainly praiseworthy! I rated this story four and a half stars. Sharon, congrats on winning the BRAG Medallion for your book, Dirt. Please tell me a little about your story? First I would like to thank indieBRAG for the award and the readers who enjoyed the book. Dirt is an historical fiction book that started out as YA and seemed to slip into the adult readers world. The story is centered around two children, Sammy and Birdie Larkin, who find themselves orphaned during the great Dust Bowl in the panhandle of Oklahoma. They decide to pretend their parents are still alive and continue to live on their family farm rather than be separated and sent to the state home for orphans. Living in a rural area, the fact that their parents are never seen goes unnoticed for some time. The children find ways to stave off the worse of their hunger and fend for themselves in a very hostile environment. That is until an incident causes them to rethink their actions. After I published the book, I’ve talked with quite a few people and found they have a relative who had gone through the same type of experience and had heard the stories of living day to day never knowing where their next meal would come from and keeping the fact that they were orphans from everyone knowing. It’s amazing how a fictitious story could end up having so much of actual people’s lives in it without knowing this when you wrote it. Who or what inspired you to write your book? I moved in with my father to take care of him during a difficult illness and we would spend a great deal of time talking about his years growing up during the depression; what games they played, the types of food his mother would prepare, the clothes and transportation issues, the cost of things. The more he talked, the more a story began to form. Although he lived in the city in the east and the story takes place in a rural county in Oklahoma, many of the life scenes could have been the same anywhere. What was some of the research involved? Where there any challenges? So much of the information came from my father’s memories. I did have to do some research for the actual prices of food, the county in Oklahoma where the story takes place and the weather. I wanted to make sure I portrayed the dust storms as accurate as possible. They were so much more than simple storms that plagued the country. Imagine looking into the horizon and seeing a black wall of clouds filled with dust rising hundreds of feet into the sky. Some people thought the world was ending as the clouds roiled and churned toward them, turning day into night. The biggest challenge was making the characters of the two children interesting enough to carry the entire book themselves. When you don’t have vampires, werewolves or paranormal situations, the everyday life of two children can be boring. So, I had to make sure the reader could care about them and their plight. Using some minor characters to enhance the story became the means to do this. In their own right, those characters are interesting in themselves, but they create situations where Sammy and Birdie have to interact and pull off their deception. Was there a particular scene that you found a challenge to write? Oh my goodness, yes. The scene where Sammy finds his parents bodies. How could I ever get into a child’s head in that type of situation? Not only were his parents dead, but he had no one to go to for help. I struggled with that for days trying to figure out how he should/would react. I tried to imagine how I would have reacted and decided on using one emotion – anger. Anger can fuel so many decisions and this time it hardened a young boy and enabled him to take control of his life and his sister’s. It’s strange because so many readers mention that scene and they felt his reaction was just what they thought a young boy would go through. I felt vindicated in my decision. I’m currently working on a YA story where two city children, 15 and 11, are sent to their great-grandmother’s home in the Appalachian Mountains for a visit in the summer. No TV, no cell phone reception, no neighbors, no mall and no summer parties. Not their choice of summer fun, until they discover a fantasmagorical forest with its wonders and dangers. I’ve written in several and I really enjoy YA. Kids are so much more fun to write than adults. They are straight in your face honest about their feelings. They have a language that is fun to write and their actions are so unpredictable. Dirt is in paperback and most e-book formats. I just finished The Twelve by Justin Cronin. A remarkable look at the resilience of mankind. About how many books do you read on a average per year? I read about three to four a month. So it adds up to forty eight books a year – give or take. I read every day. It inspires me to become a better writer when I have read a well written book. What advice would you give to an inspiring author? Learn the craft, even if it means rewriting what you’ve written many times over. My first book, If Truth Be Known, took thirty four rewrites before it was ready. I was learning as I edited and rewrote. No one wants to read a book that is poorly written. You may have a great story, and many writers do, the gauge is how the words are placed on the page as to whether it gets into the hands of readers. One important thing to always remember – keep writing. Your best stories will never be read by anyone if you stop. Sure, there’s a lot of competition out there and it’s really difficult to be seen in the ocean of books floating around, but, if you are serious and are willing to work hard, you will be noticed. They were mentioned to me during a discussion on a website forum. What a truly great organization. Such wonderful people to work with and be associated with. For an indie writer to be recognized is such an honor. And the fact that the readers are the ones who decide makes it even more important to me. They also have very informative discussions on “Goodreads” . Probably, unless some big publisher offers me a deal I can’t refuse. Self-publishing is a great opportunity for writers to showcase their work in a discipline that has become more and more difficult to be noticed. This past year I have found so many great stories by indie writers. I believe today’s readers are more concerned with a good story than who published it. 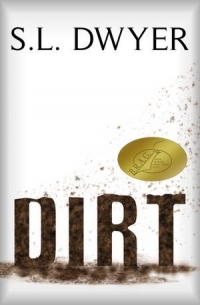 On that note, I would like to thank you for the opportunity to bring my book, Dirt, to even more reader’s attention. Born in Connecticut, raised in Florida, and lived all over the country. My residences almost match my careers. I began as a nurse and when I became bored and disillusioned, I went back to school for an engineering degree. While working in the energy field, although it was a new and exciting field, I grew tired of fighting the good ol’ boy attitudes prevalent in the companies I worked with at that time. On to finance and technology. Diverse, yes, satisfying, no. My real love was writing and in between working and being the caregiver to my parents, I have been honing my craft for the last 15 years. I have three novels out there in the world of books, If Truth Be Known, For Benny and my latest Dirt. I am currently working on a new YA novel. I don’t write in any particular genre. When I discover a story tumbling around in my head, whatever the genre, I write it. I refuse to be cornered into a specific type of writing. I love taking a story, any story, and turning it into something people would enjoy reading. The best feeling in the world is seeing your book in the hands of a stranger with their eyes glued to the pages and no thought to what is going on around them. Nirvana. We are delighted that Stephanie has chosen to interview Sharon Dwyer who is the author of, Dirt, one of our medallion honorees at www.bragmedallion.com . To be awarded a B.R.A.G. MedallionTM, a book must receive unanimous approval by a group of our readers. It is a daunting hurdle and it serves to reaffirm that a book such as, Dirt merits the investment of a reader’s time and money. Teresa Neumann brings you a captivating story based on real events leading up to and that takes place during World War II. This story is about a families strength and bond to each other and their struggles to survive a turbulent time in our History. Egisto Bertozzi, a sculptor must marry and travel to America to support his family in Italy. He marries a women named Armida Sigali who becomes troubled and abandons her family and moves back to Italy and all is not well for her…Egisto loves his children and works hard to provide for them and his family, never giving up that Armida will come back to them. However, Armida becomes a nanny for a family who supports Mussolini. Not everything is what it seems and she soon discovers they are very dangerous. Her fate becomes sealed. Bianca’s Vineyard is beautifully written and is rich in culture and complex characters. Neumann gives you a realistic picture of what people went through during the war and how they survived a terrible force bent on destroying everything they have worked hard for and loved. I highly recommend this story! You will fall in love with it the moment you start the first page.